A constant voltage LED driver you can rely on. An LED fixture is only as good as its driver. 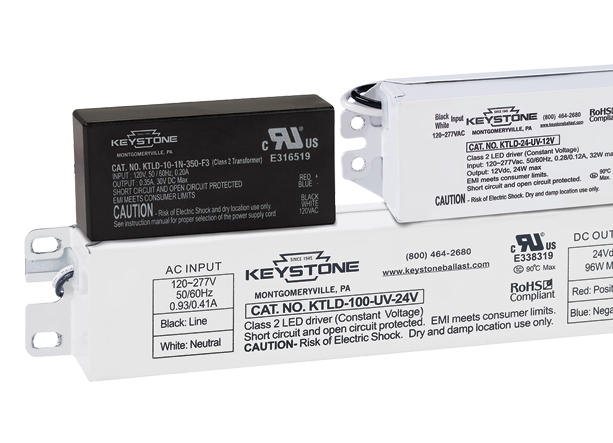 You can depend on Keystone’s 73 year legacy of building world-class lighting power supplies. We factory test 100% of every production run, so when you install a Keystone LED driver, you can trust it to perform. Keystone’s constant voltage LED drivers are ideal for paralleled LED arrays, such as outdoor fixtures, channel lighting, and sign applications where conditions are unpredictable and demanding. This type of LED power supply provides flexibility as your lighting design changes. An LED power supply that uses constant voltage allows you to add or take away LED strips without a problem. Constant voltage drivers are required when another LED current controlling device, such as a built in resistor or regulating driver, is already connected directly to the LED load. 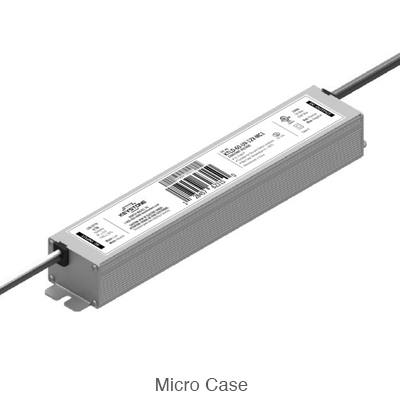 Keystone offers constant voltage LED drivers in 12V and 24V platforms. Our offerings include various form factors and IP rating options to choose from. 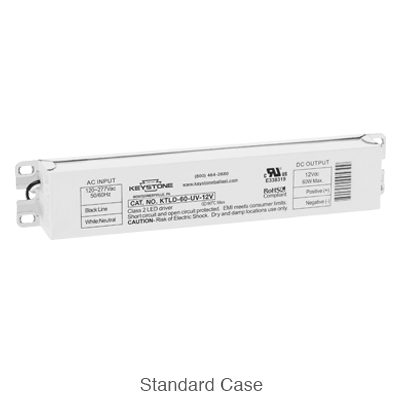 All of our LED drivers have overcurrent and short circuit protection. Some constant voltage LED driver models are Sign Component Manual (SAM) qualified for electric sign lighting applications.